Nordhoff, Charles and James Norman Hall. Illustrated by Fletcher Martin. (Marlon Brando, Lewis Milestone, Aaron Rosenberg). New York : Limited Editions Club, 1947. First limited edition of this epic historical drama made into the 1962 film starring Marlon Brando, Trevor Howard and Richard Harris. The film was the first widescreen motion picture ever produced. One of only 1500 copies. This is number 426. Signed on the front free endpaper in the year of the film’s production by Marlon Brando (cast as First Lieutenant Fletcher Christian), Lewis Milestone (the film’s director), Tarita Teriipaia (Princess Maimiti), and inscribed by the film’s producer Aaron Rosenberg, “To Phil Corrin, Hope the picture lives up to your expectations. Most sincerely, Aaron Rosenberg.” Additionally signed on the verso by twelve additional cast members including Richard Harris and Duncan Lamont. 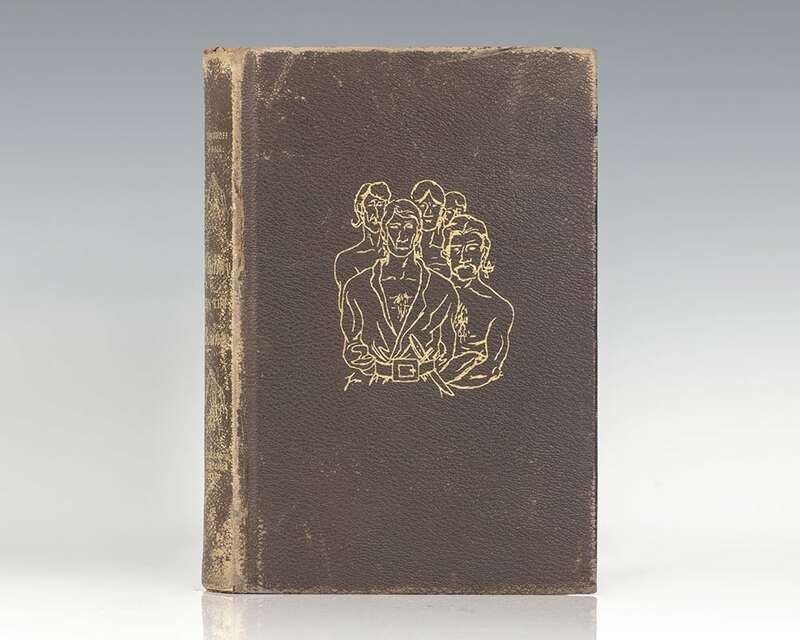 Octavo, bound in full pebbled sheepskin, gilt titles and tooling to the spine and front panel, top edge gilt, in the scarce original glassine and original slipcase. 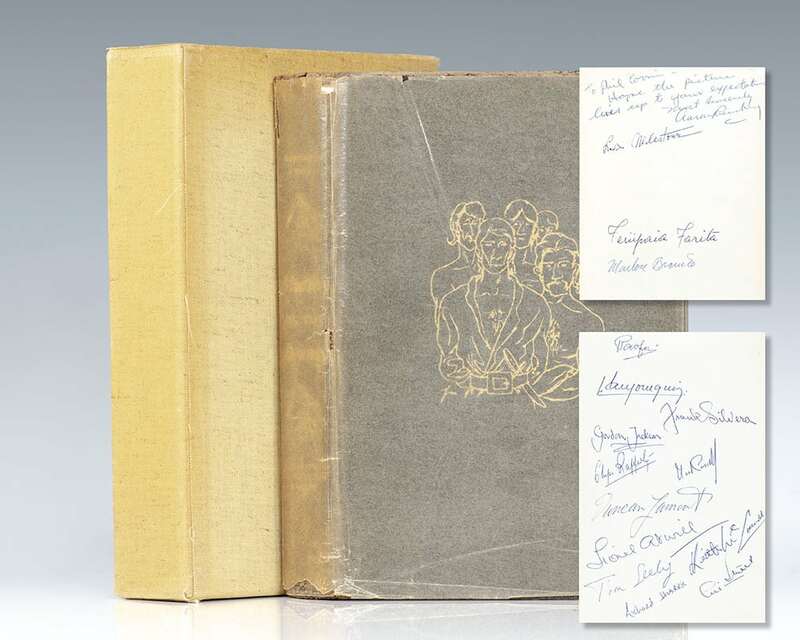 An extraordinary example, most rare and desirable signed by Brando and the cast. 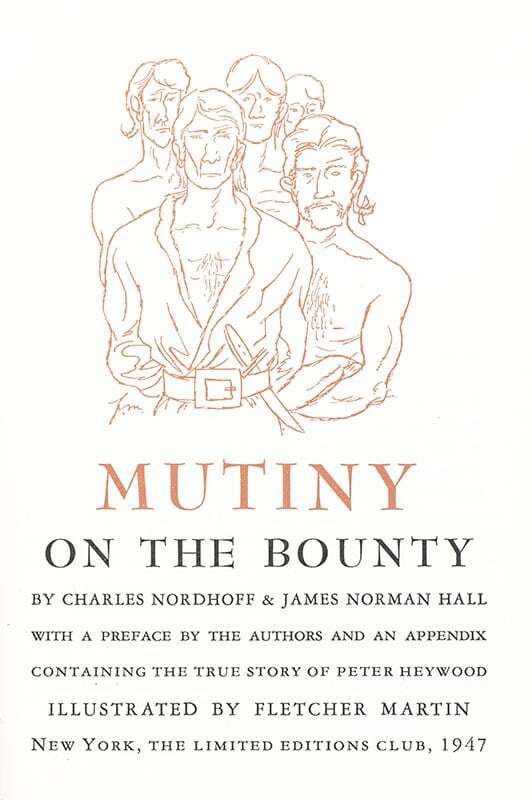 "A model of meticulous research, realistic plotting and dialogue and romantic painterly description," Nordoff and Hall's Mutiny On The Bounty was made into the MGM film of the same name in 1962"(ANB). Starring Marlon Brando and Richard Harris, the film enjoyed enormous popular and critical success and earned high praise for the "sheer magnitude of this enactment of on of the most famous mutinies" (New York Times). The first widescreen motion picture ever produced, Mutiny On The Bounty won numerous awards including seven Oscar nominations.